Cassandra is a member of Carroll & O’Dea Lawyers Newcastle and Port Stephens offices and practises in the areas of personal injury law, estate planning and family law. She is particularly interested in assisting her clients with their family law matters; she brings a personal touch to her work and has always wanted to provide support to those in need. Growing up in the Philippines, Cassandra has a unique understanding of working with people from different cultural backgrounds. She is fluent in written and spoken Filipino and has maintained strong ties with the Filipino community in the Hunter region. Cassandra is a plaintiff lawyer who acts for clients in their Workers Compensation, Motor Vehicle Accidents and Public Liability claims. Cassandra was admitted as a Solicitor of the Supreme Court of New South Wales in February 2018 and to the High Court of Australia in March 2018. She completed a Juris Doctorate degree and a Graduate Diploma in Legal Practice at the University of Newcastle in 2017. 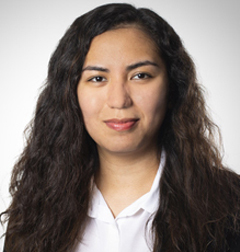 Cassandra completed a Bachelor of Science in Commerce and a major in Legal Management from De La Salle University, Manila, Philippines in 2013.